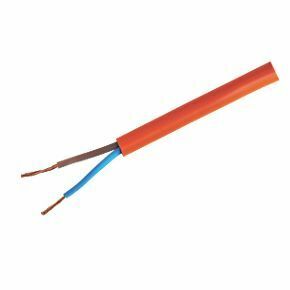 10 Amp Brown & Blue H05VV-F High Visibility Flexible Wire ideal for Caravanning, Camping, Caravan, Motor Homes or Repairing and Extending Electrical Garden Equipment where an earth is not required. General purpose light duty flexible PVC cable suitable for use in dry domestic, commercial, indoor and outdoor conditions. It can be used for general electrical and security applications such as lawnmowers, Power Tools, Extension Lead & Trailing Sockets, Caravan Leads and control wire where an earth is not connected.